Artificial turf is rampant in indoor and outdoor sports areas, and is installed for safety and health reasons. It is alleged to significantly help in cushioning falls from sports play and cut down on average allergy issues. Artificial turf is a lovely alternative to spending the bright, sunny days of spring and summer locked up indoors. Although it doesn't contain all the spores and seeds that cause watery eyes and noses every year, artificial turf requires a bit of upkeep to downplay its allergen capabilities. More than 19 million American adults suffer from allergies caused by local grasses. One of the more common pollen allergens, grass allergies – or hay fever – causes sneezing, itchy eyes and stuffy nose, and can lead to uncomfortable and debilitating symptoms. For those who may have a serious grass allergy, they can have a severe reaction, such as asthma, hives or anaphylactic shock, if a scrape allows grass proteins to enter the blood stream. It's not only adults and children that flounder from flying pollen in the air. 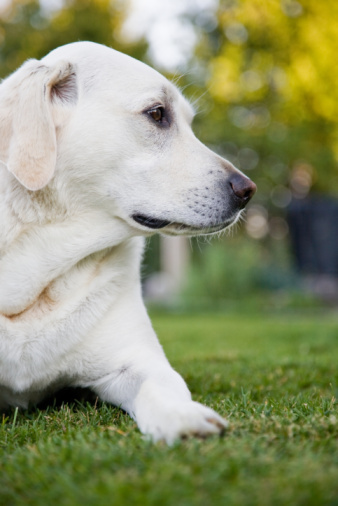 Dogs, cats and other domestic critters can find themselves in a fit of sneezing when rolling around on lush lawns. This would make it seem that simply ridding your outdoor space of grasses and installing an expanse of gorgeous green artificial turf would solve the problem. Placing artificial turf at points of entry to your home, such as in and around vents, windows, air conditioning units and doors, can reduce the amount of pollen from the places you've been from getting into your home. Once you've decided to lay down artificial turf, you should understand that it doesn't maintain its pristine form for long. 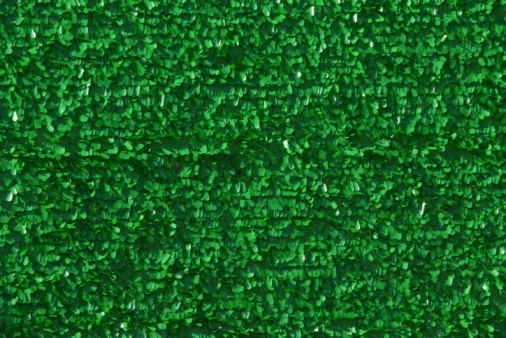 Pollen and other allergens that float in the spring breeze are attracted to the artificial turf material. Give it a good wash on a regular basis to keep pollen from building up in the fibers, nooks and crannies of the green stretch. Family members – and fur family members, too – who suffer from allergies can benefit from a lawn that is converted to an expanse of artificial turf. Although it doesn't completely eliminate pollen from nearby trees and grasses, the immediate proximity is significantly less and reduces allergen symptoms from sprouting up instantaneously as you exit your abode. Artificial turf also cuts down on the use of fertilizers and herbicides that can be harmful to the environment, and can save on water usage and maintenance costs.